According to The American Academy of Allergy & Immunology (AAAAI), indoor air quality can significantly decrease around the holidays due to “Christmas tree mold.” To ensure your employees or family members are safe and healthy, consider getting a professional air duct cleaning to kick off the New Year! What is Christmas Tree Mold? Although not visible to the naked eye, trees house microscopic mold spores that can trigger asthma or allergies. Many trees are cut prior to the holiday rush and stored in a moist environment to prolong their lifespan. Christmas trees begin decaying the moment they are cut – combine this with the moisture in the environment and you have the ideal habitat for mold growth. Even artificial trees that collect dust in storage over the year can be another source for allergies around the holiday season. 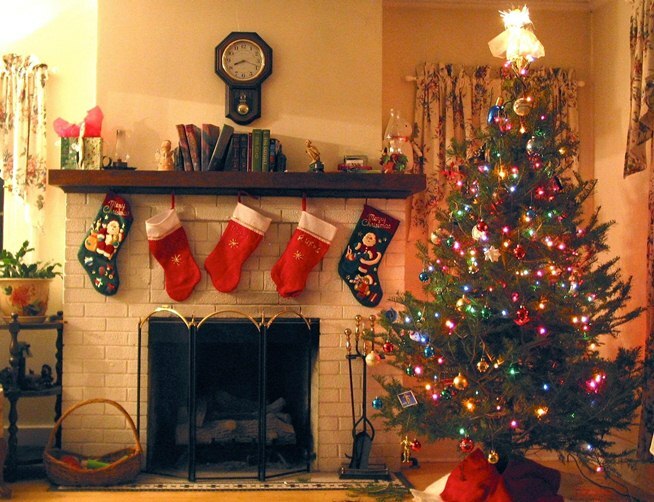 Christmas trees are softwoods that naturally contain high moisture levels. The trees may take up to 6 years to grow before they can be cut; therefore, they have been gathering moisture and mildew for an extended period of time before even reaching the inside of your building or home. Mold spores exist on every tree. Studies have shown that trees with 800 mold spores quickly increased to 5,000 spores within two weeks of bringing the tree inside. These spores can affect the indoor air quality, thereby leading to sneezing, throat irritation, nasal congestion, and headaches. People often confuse Christmas tree mold sensitivity with the common cold. Mold is invisible and floats in the air like pollen. According to WebMD, 15% of Americans have mold allergies. Studies have shown an increase in sinus problems and asthma attacks over the two weeks that Christmas trees are typically in the office or home. Even though Christmas tree mold can be a concern this holiday season, a professional air duct cleaning can refresh your system for the New Year. Air duct cleaning is a specialized, yet simple process. A professional company can get a typical residential home done in just a few short hours. For larger or commercial buildings, the work can be done overnight, which will eliminate affecting employee productivity. Removing the mold spores from the air significantly reduces the effects of tree mold. Research has shown that people spend up to 90% of their time indoors. Indoor air quality plays a large role in productivity and quality of sleep. In addition to improving your indoor air quality and ridding your building of Christmas tree mold, a professional air duct cleaning can lower energy costs, reduce cleaning needs, and prevent health and fire hazards. Looking to start the new year with proper clean indoor air? Contact Air Doctors, Inc – We offer FREE Estimates! Start 2016 with a healthy home! Previous Previous post: Deep Duct Cleaning Discounts: Beware!